Webb to Run as Independent? 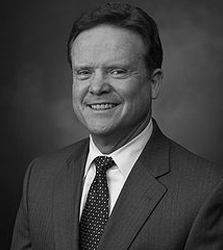 Jim Webb is a former U.S. senator from Virginia who has announced the formation of an exploratory committee for a possible run for president in 2016. He has been described as a centrist Democrat, and his campaign is likely to appeal to those concerned the Democratic Party has drifted too far to the left and is out of touch with the values of most of the American public. He has significant experience in defense and national security issues, including stints as an assistant secretary of defense and secretary of the Navy under President Ronald Reagan. He was an outspoken critic of President George W. Bush’s Iraq policy, although it should be noted he is hardly a dove on defense matters – he fought in the Vietnam War as a lieutenant leading a combat platoon, and he still supports the Vietnam War although he is sharply critical of the strategic and policy decisions made regarding it. Webb has a populist message that could be attractive to rural and blue-collar voters, something his party has struggled with in recent elections. He was considered one of the rising stars of the Democratic Party after his narrow win over incumbent Sen. George Allen, but his views on some cultural issues, support for the fossil fuel industry, and opposition to raising taxes on the wealthy are out of step with most of his party, which could be a problem in attracting votes during the nomination process. Webb has relatively low name recognition entering the 2016 campaign cycle, and his general dislike of campaigning could make it difficult for him to establish himself as a viable candidate. But he is regarded as a skilled and effective speaker when motivated, and he has the ability to appeal to relatively conservative voters in the Democratic Party. The flip side is that he is likely to struggle with groups such as advocates for women’s and minority rights, environmentalists, and anti-corporate elements. Webb is probably a long shot to win the Democratic Party nomination for these reasons, but he has the skills to become a legitimate contender, particularly if he can draw voters into the nomination process who have otherwise felt ignored by Democrats in recent years. Webb promised not to raise taxes on ordinary earned income, although he did support raising taxes on capital gains.10 He largely kept this promise through his support of extending the Bush tax cuts,11 although he did support Obamacare, which included tax hikes on earned income. As a senator, Webb sponsored and passed a private bill that allowed a Japanese citizen and her son to gain permanent residency in the United States after her husband (her son’s father) was killed in Iraq.13 Private bills are generally frowned upon because they only serve a single purpose or person and can be considered favoritism. However, in the case of the “relief for Hota Nakama Ferschke” bill, Webb was not the only supporter for this military widow’s cause and it allowed her to raise her son in the United States, a request of her husband before his death in Iraq. He has also had his toe in both major political parties – prior to running for the Democratic nomination to challenge the incumbent senator in Virginia, Webb was a Republican.15 Although he is often thought of as a centrist or even conservative Democrat, he supported most major elements of President Barack Obama’s agenda, including Obamacare. In 2007, Webb delivered the Democrats’ rebuttal to Bush’s State of the Union speech. Commentary from media following the rebuttal included claims that “a star was born” and that the speech was “eloquent; and it was forceful.”19 Another description of Webb’s speaking ability said, “He is known to speak from the heart and the mind and he’s got considerable voltage in both areas.”20 Webb has written 10 books. Webb has only a single election under his belt, one that he barely won after his opponent, the incumbent senator, was caught on video apparently using an ethnic slur. His election was also buoyed by a “wave” election in favor of Democrats across the country. This leads to some doubt about his campaigning abilities. With only six years as senator, Webb does not have a long voting history on matters of the judiciary. He followed his party’s line and supported the nominations of Sonia Sotomayor104 and Elena Kagan105 to the U.S. Supreme Court. In 2012, Webb held up legislation that would have created a U.S. Special Envoy to the Middle East to focus on persecuted religious minorities. Webb held the legislation up, saying it needed a hearing before the Senate Foreign Relations Committee, that the legislation overreached, and that the State Department should be allowed to just do its job. His switch of party affiliation could also be a problem for Webb as a candidate. While it didn’t seem to hurt him in the Virginia contest for senator, it could become one on the national political stage, particularly if he becomes a viable challenger to the frontrunners. He already realized some problems during his 2006 election associated with his 1979 article published in the Washingtonian Magazine regarding his opposition to women in combat. A group of female Naval Academy graduates publicly stated their opposition to Webb in the 2006 campaign.